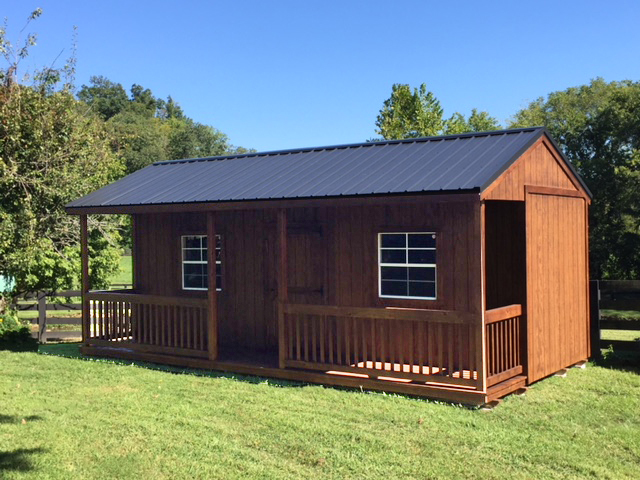 Our Kentucky cabins range in size from 8x12 to 14x40 and come with a 12 month warranty. These cabins are great for the lake, hunting, fishing or a quiet get a way. 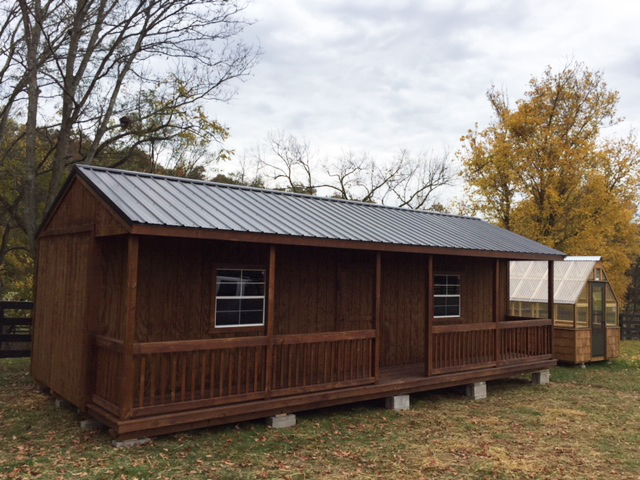 Each Kentucky cabin comes with a covered porch and two windows. • 5/8″ or 3/4″ tongue & groove LP prostruct floor with smartfinish. • We offer 25 year shingles or 40 year metal roofs. Click the button below to contact us online, or give us a call today! You all built us a three stall horse barn a couple of years back and I wanted to let you know we couldn't be happier with it! You did a sound job with everything and it has been a blessing to us to have. 10% off most of our wood furniture!